Google processes an unbelievable 40,000 search queries every second. That works out at 3.5 billion searches every day, and 1.2 trillion searches every year. 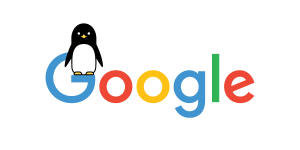 So, how do you make sure that your business is visible on the most popular search engine in the world? Keeping up with the Google algorithm updates is the perfect place to start. 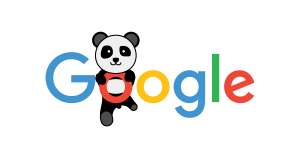 Google’s Panda update had a huge impact on the way companies write content for their websites. The update was set up to make sure that websites with low quality content do not appear in search engine results. This means that, if your website has poor-quality content, it will be pushed to the back pages of search engine results. So, how can you make sure that your website follows the rules set out by Panda? First up, check you don’t have thin or low quality content on your website. Websites featuring a low amount of content that does not provide any useful help to visitors can expect to rank poorly. Overall, focus on producing high quality website content that educates your readers and provides them with answers to the problems they may have. This will make your brand seem like a trustworthy source that Google will want to include in search results. Do not duplicate content. This one is simple. If you see some great content on another website, use it as part of your research but do not copy and paste it! If Google crawls your site and finds any duplicate content, expect to see your rankings fall. Have more content than ads. This comes back to the theory that your website should be helpful to your audience. If you have loads of ads popping up, distracting visitors from the content they want to read, people will bounce off and Google will penalise your site. Make sure you have high quality links. If your site is stuffed full of affiliate links or untrustworthy links that are blocked by users with a Google Chrome extension, your website will not rank well. This is another update that had a significant impact on many websites when it was introduced in 2012. This change in Google’s algorithm focused on rewarding websites that used keywords and backlinks properly. So, how can you keep up with the penguin update? Secure high quality backlinks. The acquisition of unrelated, poor quality backlinks, will have a negative impact on your rankings. To avoid getting penalised, only secure SEO backlinks from websites with high domain authorities that are relevant to your industry or subject matter. Do not keyword stuff. Every website tries to rank for certain keywords, but if you stuff your content full of those keywords, Google will penalise you. The best thing to do is write in a way that seems useful to your reader. Add just a few, select keywords to your page and make sure that they fit into your sentence structure naturally. This interesting update introduced in 2013 focused on rewarding websites that directly answered the search queries of their customer base. Hummingbird is all about opportunity. If you can answer the burning questions of your target audience, your website will perform well on Google. 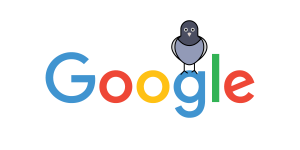 The final bird to make it onto our list is the Pigeon Update from 2013. This algorithm focused on helping people to find local businesses. This update has been especially important for businesses that rely on local custom. So, how can you rank well as a local business? Focus on local content. Producing helpful content that focuses on the local area will allow you to rank for local search terms relevant to your company. Pay attention to the local SEO basics. Getting lots of reviews from happy local customers, checking that your contact details are up to date, and making sure that you remove all duplicate listings will help you to rank well in local searches. Keep producing high quality content. We’ve said it before, but if you’re not producing useful, in-depth content or if you have poor quality backlinks, you will still be penalised by Google, even as a local business. Finally, it’s time to talk about Google’s 2015 update, dubbed by many commentators as ‘Mobilegeddon.’ After this update, many websites that weren’t mobile responsive saw a devastating impact on their rankings. So, how can you keep up with Mobilegeddon? Check your content fits. If your content does not fit onto your screen when you view it on your phone, this means that your site isn’t as mobile friendly as it could be, which means your rankings could be affected. Take care with links. If the links in your content are too close together, it is likely that a mobile user will not be able to click on the link they want. So take care to make sure that your links are not too close together in your content. Can visitors read your text? It may sound obvious, but people using mobile devices must be able to read the text on your website without any difficulty, so ensure that the text is large enough for mobile users to read. There is so much that your SEO agency needs to do to make sure that your website can be found on Google. From securing good backlinks, to producing high-quality content, there’s a lot to keep track of. Get in touch with us today to find out how we can help you to improve your search engine visibility.